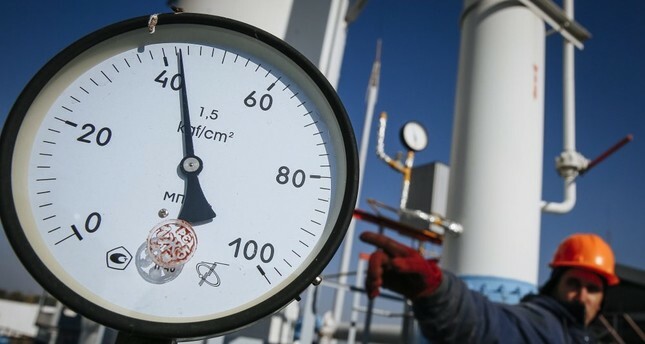 Gazprom has completed the creation of capacities to feed gas to the TurkStream pipeline and the Russian party is fully ready for supplies, Gazprom CEO Alexei Miller told a conference call on Thursday, according to the Russian news agency TASS. In the second half of 2017, the laying of the pipeline in the Black Sea will start, he said. "We also successfully continued working on the implementation of another large export gas transportation project - TurkStream. We obtained permits and approvals, and in the second half of 2017 we'll start laying the pipes in the Black Sea. It should be noted that this year we have finished the construction of facilities on the Russian territory to feed 31.5 billion cubic meters of gas to TurkStream. This also applies to the pipeline infrastructure and compressor stations, which means that judging by the results of our work in 2016, the Russian party is completely ready for supplying gas via the TurkStream," Miller said. In December 2014, Putin announced the termination of the SouthStream project following disagreements with the EU. Brussels insisted that the project should comply with the so-called Third Energy Package, although it is not part of the intra-European gas infrastructure. It was decided to build the TurkStream instead of the SouthStream but this project was later suspended, in particular due to the crisis with the Russian-Turkish relations. On Aug. 9, Turkish President Tayyip Erdoğan and Russian President Vladimir Putin met in St. Petersburg. Following those talks, the decision to resume work on the TurkStream project to set up a working group and to draw up a roadmap was taken. It was planned that the marine section of the TurkStream will consist of four lines, each with a capacity of 15.75 billion cubic meters. The pipeline is to stretch by 660 kilometers along the old corridor of the SouthStream and by 250 kilometers along the new corridor in the direction of the European part of Turkey. On Oct. 10, Turkey and Russia signed an inter-governmental agreement on realizing the construction of the planned TurkStream gas pipeline to compress Russian gas under Turkish waters in the Black Sea toward Europe. The agreement was signed by Energy Minister Berat Albayrak and his Russian counterpart Alexander Novak, in the presence of Russian President Vladimir Putin and President Recep Tayyip Erdoğan after their talks in Istanbul as part of the 23rd World Energy Congress. The project, announced by Putin during a December 2014 visit to Turkey, will carry gas from Russia under the Black Sea to the Turkish Thrace. One line, with a 15.75-billion-cubic-meter capacity, is expected to supply the Turkish market with a second carrying gas to Europe. Russia's state-owned gas giant Gazprom estimated the cost of the construction for pipelines of the TurkStream at 11.4 billion euros, with the cost of the first line construction estimated at 4.3 billion euros, as previously reported by Russian news agency TASS. Russia also reckons that the first line will contribute about $750 million to the Russian treasury as revenue obtained from export taxes. The General Assembly of the Turkish Parliament ratified the bill for the TurkStream agreement on Dec. 2 and it was consequently approved by President Erdoğan. Following Prime Minister Binali Yıldırım's two-day official visit to Russia upon the invitation of his Russian counterpart Dmitry Medvedev, the bill for the TurkStream project was ratified by the Russian government and it will be voted out in the State Duma, the lower wing of the Russian parliament in January. Chairman of the Russian State Duma Committee of Energy Pavel Zavalny previously said, "We hoped voting would take place this year, but the last session of the Duma will be held on Dec. 21. However, we will not be able to make it to this date." Zavalny also said, "I expect the voting will take place in January. The first session of the Duma will be held on Jan. 9. The agreement has not yet been submitted to Duma's approval." The Russian government approved a draft legislation on Dec. 16 to enable Russia to ratify its agreement with Turkey on the TurkStream gas pipeline project. A statement released by the official website of the Russian government said it approved the draft federal law and submitted it to the State Duma in accordance with the established procedure.